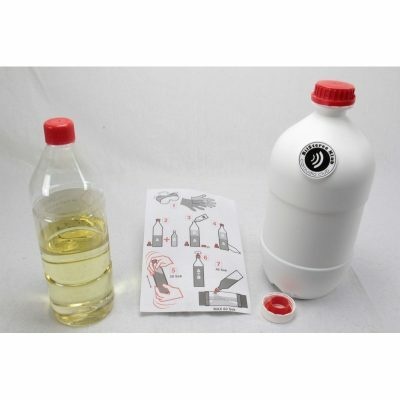 Aerofix 2, som indeholder 500ml lim. En lim til at lime glasfiber på med før og under påførsel af polyester. 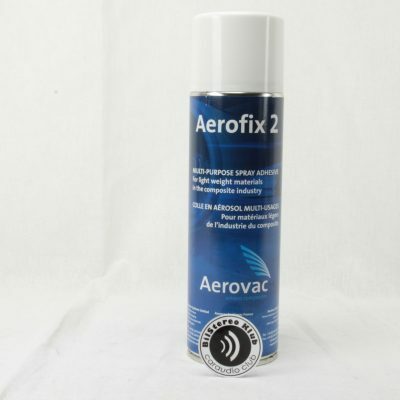 Aerofix 2 is a high performance spray adhesive which has been specially developed for bonding light and medium weight materials, in particular fibre reinforcements such as glass and carbon fibre. Aerofix 2 is easy to use allowing rapid coverage of large areas. 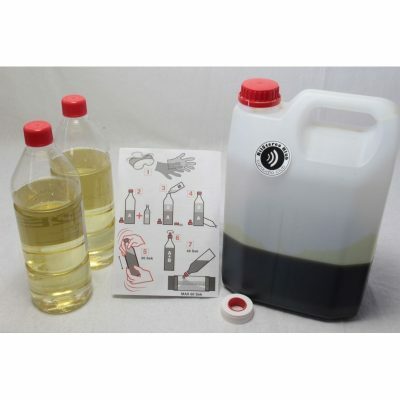 Uses: Quickly bonds together a wide range of materials including: Plastics, foams, fabrics, light wood, breathers. Usage Guidelines: Shake the aerosol well before use and ensure that the surfaces to be bonded are clean and dry. Hold the aerosol vertically and spray an even layer of adhesive from a distance of 15 to 25 cm. The thin film must not have the appearance of being wet. If this is the case, spray from a little farther away. The glue is operational between 10 seconds and 15 minutes. For optimum adhesion, spray the adhesive onto both surfaces to be bonded. In this case the glue is operational between 10 seconds and 30 minutes. After each use, purge the aerosol whilst holding upside down.